The advance word on Kodama was that it was both a return to form for Alcest and a return to heaviness after 2014's (literally and metaphorically) becalmed effort, Shelter. Both are true, with slight qualifications. Kodama is unashamedly a rock album, offering a kind of blackened stadium sound bigger yet more intricate than what has gone before. It's reminiscent at time as much of Gilmour era Pink Floyd or 80's U2 (especially the guitars) gone prog as much as mainman Neige's beloved shoegaze. The odd blastbeat and harsh vocal aside, you'd be hard pressed to place it inside the boundaries of metal, though. 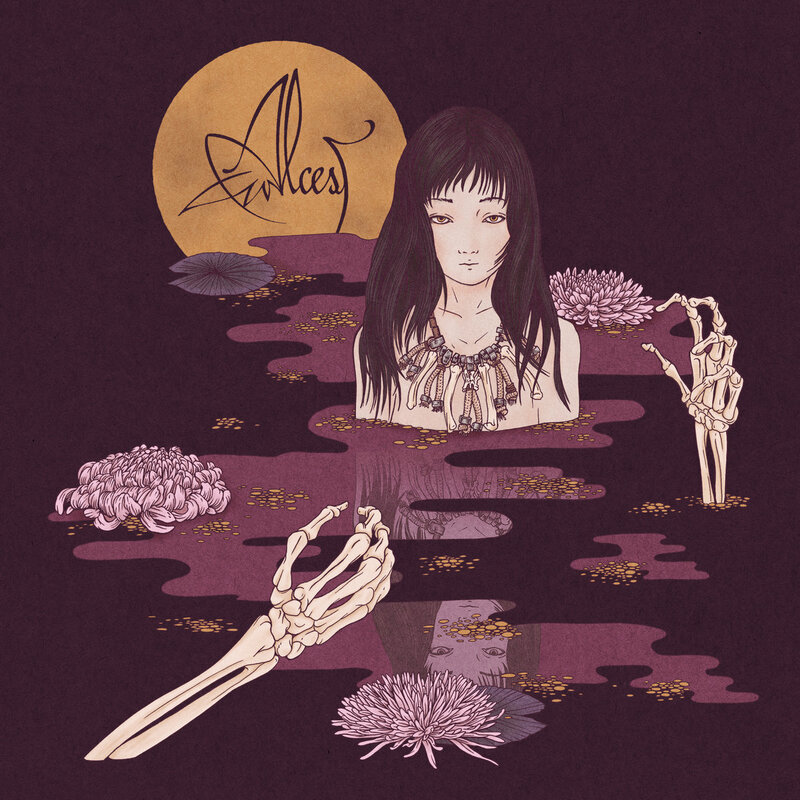 Genre purism aside, Neige shows he still knows his away around a catchy riff and, yes, the Alcest party trick of cutting everything out mid-song to showcase a bit of reflective guitar work is still present and correct. Winterhalter's drums are high in the mix, contributing to that big ol' clean progressive sound. The muted choirboy vocals, more than ever, thankfully save the record from the pomposity that might otherwise befall it, given the production values. Lyrically and thematically we're back on the usual magic realism, this time with a Japanese twist, but it's all done in Alcestworld with such melancholic sincerity and consistency that I tend to find it endearing rather than otherwise. And the fact it's all in French, low in the mix, helps reduce the snark potential too. None of Kodama is quite as immediate as say, Écailles de Lune, but it's pretty much been on constant rotation here since Christmas. It might be more a variation on an established theme than Shelter, but it's turned out to be an immensably likeable one. I'm not sure we should be asking Neige to turn out similar albums for the rest of his career, but if this is the sound of him finding his feet again then I very much like it indeed.